An extensive collection of loose AMC Pure Pigment Eye Shadows combines intense colours with opalescent particles. An incredibly varied range of shades allows you to create unique makeup looks from subtle to ultra-intense, depending on application. 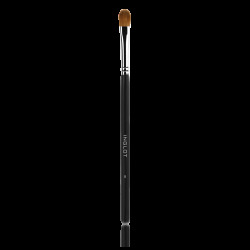 Highly pigmented and smudge proof formula is perfect for long hour photoshoots, scene makeup or for body painting. Use together with Duraline to achieve a creamy, waterproof product. C12-15 ALKYL BENZOATE, DIMETHICONE, ISOSTEARYL PALMITATE, ETHYLHEXYL PALMITATE, DIMETHICONE CROSSPOLYMER, CAPRYLYL GLYCOL, PHENOXYETHANOL, LUFFA CYLINDRICA SEED OIL, HEXYLENE GLYCOL, [+/- (MAY CONTAIN): ALUMINUM CALCIUM SODIUM SILICATE, BENZOIC ACID, BORON NITRIDE, CALCIUM ALUMINUM BOROSILICATE, HYDROGENATED POLYISOBUTENE, LAUROYL LYSINE, METHICONE, MICA, PALMITIC ACID, POLYPERFLUOROMETHYLISOPROPYL ETHER, SILICA, SYNTHETIC FLUORPHLOGOPITE, TALC, TIN OXIDE, TRIETHOXYCAPRYLYLSILANE, RED 40 LAKE (CI 16035), YELLOW 5 LAKE (CI 19140), BLUE 1 LAKE (CI 42090), CARMINE (CI 75470), ALUMINUM POWDER (CI 77000), ULTRAMARINES (CI 77007), BLACK 2 (CI 77266) (NANO), IRON OXIDES (CI 77491, CI 77492, CI 77499), FERRIC AMMONIUM FERROCYANIDE (CI 77510), FERRIC FERROCYANIDE (CI 77510), MANGANESE VIOLET (CI 77742), TITANIUM DIOXIDE (CI 77891)]. IRON OXIDE (CI 77499), BLACK 2 (CI 77266) (NANO), C12-15 ALKYL BENZOATE, DIMETHICONE, ISOSTEARYL PALMITATE, CALCIUM ALUMINUM BOROSILICATE, ETHYLHEXYL PALMITATE, DIMETHICONE CROSSPOLYMER, CAPRYLYL GLYCOL, SILVER (CI 77820), PHENOXYETHANOL, LUFFA CYLINDRICA SEED OIL, HEXYLENE GLYCOL, TIN OXIDE.